What does a Millipede look like? • This fluid can be toxic to small animals, including pets. 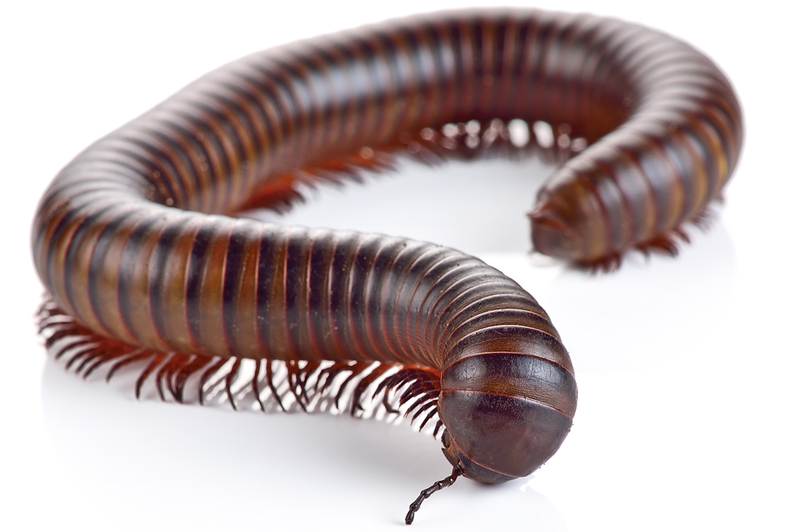 How can I prevent a Millipede infestation? • Keep the grass mowed to prevent it from retaining too much moisture. Water your lawn in the morning to allow the moisture to burn off during the day. How do I get rid of Millipedes? • Vacuums can be an effective way to eliminate small quantities of Millipedes. Be sure to discard the vacuum bag as the odor may permeate the area.